The rains may have stopped and the water levels are slowly receding from flood-hit areas. But authorities have another uphill battle — disposal of waste. 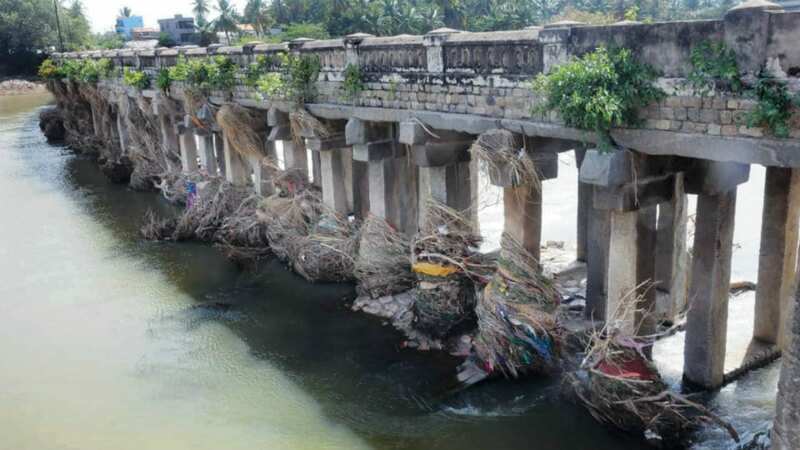 Flood waters have left behind tonnes of solid waste including tree branches, uprooted creepers, waste clothes and plastic in towns and villages, like this one at the historical Wellesley Bridge near Srirangapatna. Cleaning the waste is a mammoth task. The Wellesley Bridge was completed in 1804 during the reign of Mummadi Krishnaraja Wadiyar and was built after the fall of Tipu Sultan in 1799 during the Fourth Anglo-Mysore War. It is an engineering marvel built on monolithic stone pillars. The bridge has so far withstood the pressure of water released from Krishna Raja Sagar (KRS) Dam and it stood firm even when more than one lakh cusecs of water was released last month.